Hyderabad : Fish ‘prasadam’, which is believed to cure asthma, was on Wednesday administered to thousands of patients who came here from various parts of the country. The programme, which began on Wednesday morning at the Exhibition Grounds in Nampally , will continue for 24 hours. Members of Bathini Goud family were administering the fish stuffed with a herbal paste reportedly believed to be a cure for asthma and other breathing ailments. Amid elaborate arrangements made by police and various departments, the distribution of ‘prasadam’ began at 8 a.m., marking the beginning of Mrigasira Karthi or the onset of monsoon. Despite it being a subject of controversy, patients descended here in the hope of finding some relief to their nagging respiratory problems through the “miracle drug”. Police set up separate queues for women, physically-challenged and senior citizens to ensure smooth conduct of the annual event. A total of 32 counters were set up. Hundreds of people coming from different states had reached the venue on Tuesday and obtained tokens. Goud family members claimed that 35,000 people took the fish ‘prasadam’ till Wednesday evening. They said arrangements to supply one lakh fingerlings were made. The medicine, which the family has been distributing for 160 years, consists of a yellow herbal paste, the ingredients of which have remained a family secret. The paste is first stuffed into a live three centimetre-long murrel fish that is then slipped through the throat of the patient. 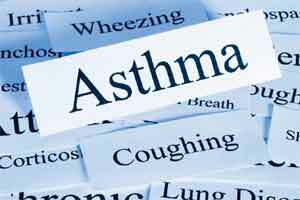 If taken for three successive years, the medicine is believed to cure asthma. The family claims to be distributing the fish medicine free of cost for over 160 years. It renamed the drug as ‘prasadam’ a few years ago when it became a subject of controversy. Some groups approached a lower court seeking a ban on the “unscientific” practice, claiming that since the herbal paste contains heavy metals it can cause serious health problems. But the Goud family claims that the tests in laboratories conducted as per court orders revealed that the herbal paste is safe. It claims that the secret formula for the herbal medicine was given to their ancestor in 1845 by a saint after taking an oath from him that it would be administered free of cost.